Three years ago this week, my postpartum depression became so out of control that my neighbors intervened and insisted that I get outpatient treatment. I know this, not because I’m good at keeping track of dates, but because that is the same week my neighbor’s husband got diagnosed with a grade 3 Astrocytoma brain tumor. In 2012, we bought our first house. On the day that we moved in, the people 2 houses down moved into their house too. Eventually, us and the house in between us became really close. The first two summers were awesome and carefree, but the second autumn is when our relationships went from close neighbors who enjoyed bonfires and grilling cheddar dogs and turned us into lifelong friends. Sara texted me the morning of my interview with The Mother Baby Program, she was supposed to be watching my oldest son that day as well as during the 3 week period I would be attending the program. She said she was sorry that she couldn’t watch Brayden anymore, but Eric had a brain tumor. I called her a few times, but we never spoke that day. 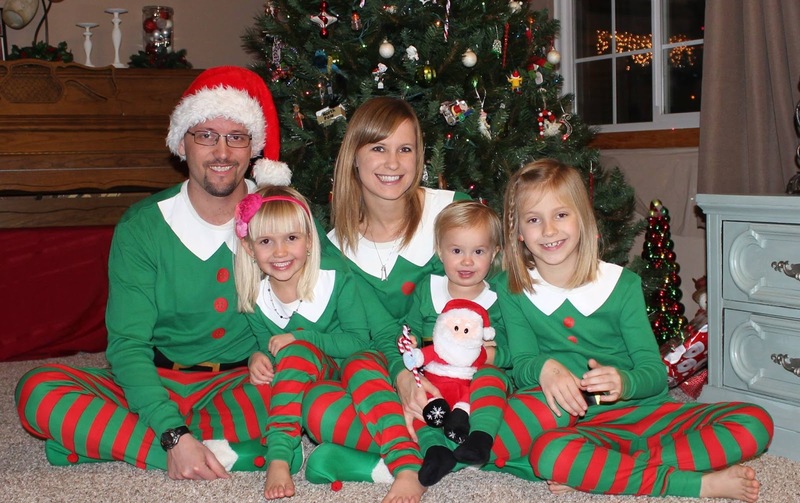 Her family of 5 had suddenly been thrown into a nightmare that is hard to comprehend. Her strong, smart husband who was the sole breadwinner for them and their 3 small girls had just been given a diagnosis that would take anyone’s breath away. 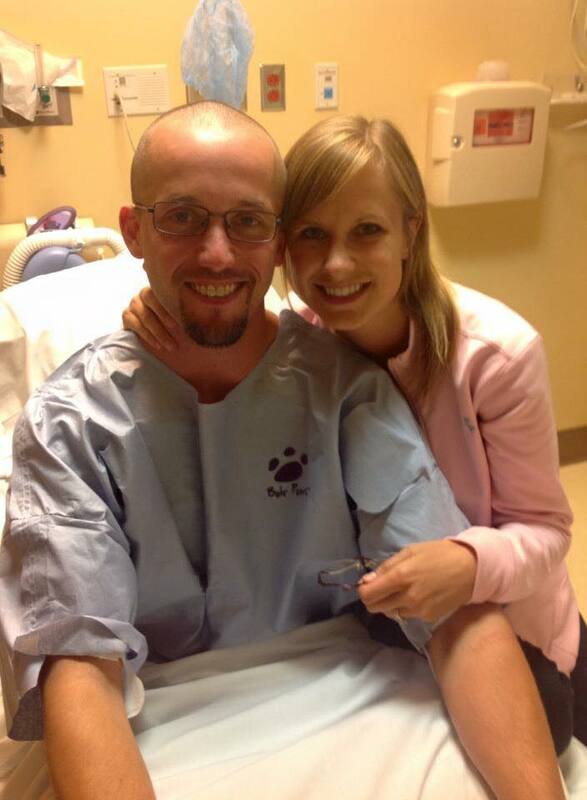 8 days after Eric found out he had a the brain tumor, it was surgically removed. 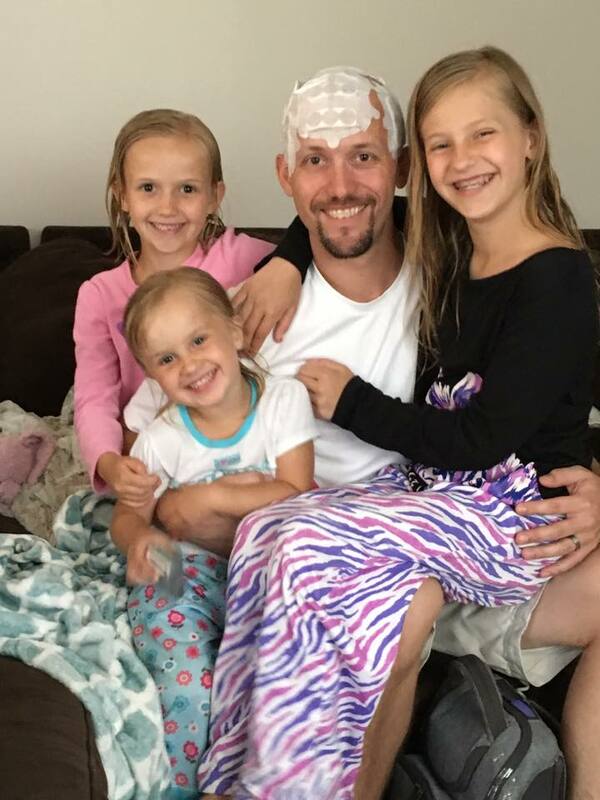 They didn’t find out exactly what it was right away, but eventually they were told that it was stage 3 brain cancer. They had removed most of it and he would go through chemo and radiation to try and get rid of the remainder of it. For months we watched as the entire Utes family banded together to support Eric. We watched as they stayed strong for their girls and showed each other the true meaning of love. We watched as Eric (amazingly) returned to work pretty quickly after surgery. We saw the kindness of friends and strangers as meals and money were donated to help the family. We saw some of the best in people during the most unfair of life’s circumstances. We watched a strong man in his early 30s get diagnosed with a disease that swept us all off our feet. I saw my friend stay strong for her family, while at times silently struggling inside. I saw my neighbors cry, fearing the unknown. I saw myself, so wrapped up in my illness, not really able to help my friend like I wish I could have. I’ve told my (old) neighbors many times since then that I fully believe we lived next to each other for those specific 4 years for a reason. I believe that God put us together because he knew we would need each other during those years. I don’t know how I would have survived without Bridget and Sara during that time, and I hope they would say the same thing about me. There were times where we just stood in silence watching our kids play. There were moments where things “felt” normal, even though we knew that our normal had now changed. We all ended up moving away for different reasons last summer, but we all still live within 15 minutes of each other. Sara and I talk every day. Though Eric is currently healthy, he will now have MRI’s every 3 months for the rest of his life. He also still goes through difficulties I cannot fathom. He’s had some seizures and other setbacks that have been hard for their family. Throughout it all though, they have stayed so strong and positive, many people would never guess how much they have gone through. The Utes are “the people you want to be friends with.” Their family looks picture perfect. Their daughters are breathtakingly beautiful, but also unbelievably smart. Even though their family has been through so much, Sara still feels guilty every time they can’t help out when they said they would or feels bad if she has a bad day. Sometimes, I wish that Eric and Sara could see themselves like me and my family see them. They are kind beyond words, unconditionally selfless, laugh until you pee funny, never give up kind of people. The relief that they get each time Eric has a clean MRI is always eventually overshadowed by the fact that statistics say it will most likely reoccur-and at a higher grade. People with Eric’s diagnosis have a prognosis of living about 3-5 years after being diagnosed. Even when they get “good” news, their new reality is that this is something that they will (likely) be dealing with forever. Please keep this family in your thoughts and prayers, from the bottom of my heart, they are the most amazing people I know. Next weekend, our family will be participating in the BT5K (Brain Tumor 5K)in the Twin Cities (MN) on the “Utes Crew.” It would mean the world to us if as many people as possible donate and participate in this cause. Please consider visiting http://hope.abta.org and supporting brain cancer research. You can also “follow” Eric’s story by “liking” Eric’s Updates on Facebook. Thank you so much for reading!